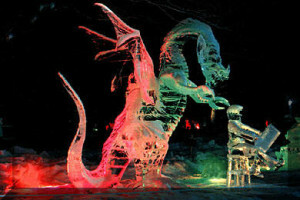 Setup Information | Elegant Ice Creations Inc.
We were given 48 hours to carve 6000 lbs. of ice. it stood about 10 feet tall.